After watching the documentary Tapped and reading various online sources, I have come to the conclusion that we are doing much harm the not only our environment but also ourselves. In the movie tapped, they believe that by the year 2030 that two thirds of the world will not have access to clean drinking water. Many companies are coming in and taking water for free and selling it back to us at a premium and we are the suckers that are buying it because its simple, fast and easy. A lot of people don’t know though that the bottles can be very harmful to themselves. 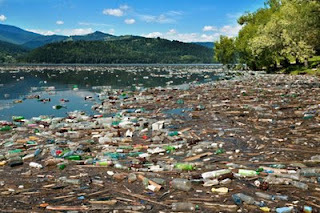 A lot of people also don’t care that they are harming our environment by just tossing these bottles away because they are ending up in our lakes, oceans and many garbage plants instead of recycling facilities. 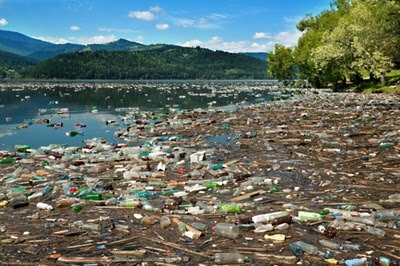 If we want to keep a sustainable environment for the future generations we have to do something about the bottles and about how companies are just taking the water away from us. People don’t see that the bottles that water can harm us in ways such as liver cancer, breast cancer and even low sperm count but its also hurting the wildlife population as it is getting to animals and fish that are continuously eating our waste that shouldn’t be out there. As of 2004, 85% of those bottles that we find quick and convenient have ended up in landfill sites or as litter on our roadsides. We are also hurting our environment by the amount of fossil fuel that it takes to produce the bottles that we are putting the water in. The production of bottles each year has released one billion pounds of carbon dioxide into our atmosphere annually and thus has sped up our contribution to global warming. Like the first natural step says, we need to reduce our contribution of substances extracted from the earths crust because we are seriously reducing our capacity to live quicker and quicker with each harmful contribution that we make each day. In order for our grandkids to have a sustainable future and world worth living in, we seriously need to take a long look at this industry and see how they are hurting the future of this very planet. They are obviously in this industry for the profit, which most or all businesses are but they should be concerned about the future as much as we should be. I feel as though we need to look at solutions to implement so that our contribution to hurting the environment is reduced and the world we are currently living in will be a better place from then on. Read some more facts on the Water Bottle Industry from this site. Also watch the documentary “Tapped”.